View our Metro Facade Designs below or click on a new Design type above. 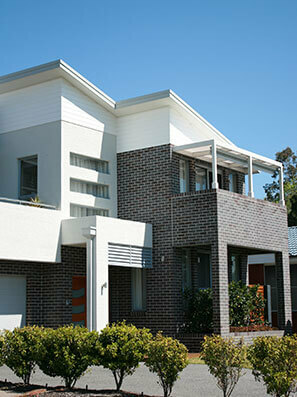 New Home builders in Sydney, Central Coast and Newcastle. Tullipan Homes offers a wide range of over 60 carefully thought out floor plans for single storey, double storey, split level and acreage homes. The starting point for finding the ideal home for you is to narrow down your selection based on the categorisation of your land. Searching in that specific category such as 'Upward sloping high side of the street', is a great way to start your search for the home plan of your dreams. We are happy to carry out a site inspection on your land to determine the category of home designs suited to your site conditions. Discerning homebuyers look for a home that reflects their personality, provides for their needs & meets their desired budget. There are many circumstances that influence our clients' design criteria from the composition of their family, their age, health, incomes, lifestyle, belongings, interests and preferences. Every client and every block of land is different, some want to tackle that challenging land slope in the most cost effective way, some want space, some want appeal, most request the wow factor. 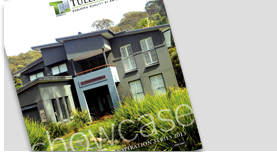 At Tullipan Homes we provide for peoples' lifestyle through design, not just build another house. 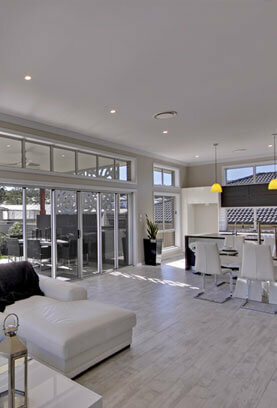 We offer a high level of inclusions to meet your home's needs and your budget.